It's PERF for tamad girls! It feels like only yesterday when everyone was ditching their long hair for wavy lobs thanks to celebs such as Lucy Hale and Lauren Conrad. Apart from looking edgy AF, we all went batshit crazy for the effortlessly chic style, or at least, that’s what we thought it was. A few months in and we quickly realized that the lob was deceptively tricky to keep at the perfect "not-too-short-but-doesn’t-flick-up-at-the-ends" length and so we’ve had trips to the hairdressers practically every few weeks since. Now, there’s finally good news for the true tamad girls out there who are ready to break up with the lob. Next year’s trending hairstyle has been announced and it’s actually low maintenance. Woohoo! According to Jen Atkin (AKA Khloé Kardashiain, Chrissy Teigen and Jessica Alba’s hairstylist), the lob is officially dead. "I’ve been telling everybody to get out of your lob,” Atkin said to E! News. “We can’t live in it forever!" But what next, right? The problem with cutting your hair short is that it takes FOREVER grow it back out again (rest assured, the irony of having to wait forever to grow out a hairstyle that grew too quickly is not lost on us). "Cut a good fringe and start wearing your hair kind of messy and just blow-dry the fringe," Atkin said, before adding, "I think a good heavy bang is so cool, it just kind of takes your mind off of the lob that’s growing out." 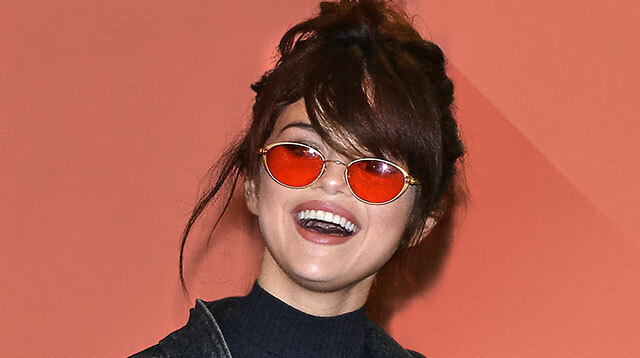 Basically, it's time to channel your inner-Selena Gomez (which we're totally okay with). Yup, so chillaxed, messy fringes are a go and we're 100% down 'cause it's NBD if we miss a hair appointment or two, or we can simply touch it up ourselves. BRB—booking ourselves in for some bangin' bangs.